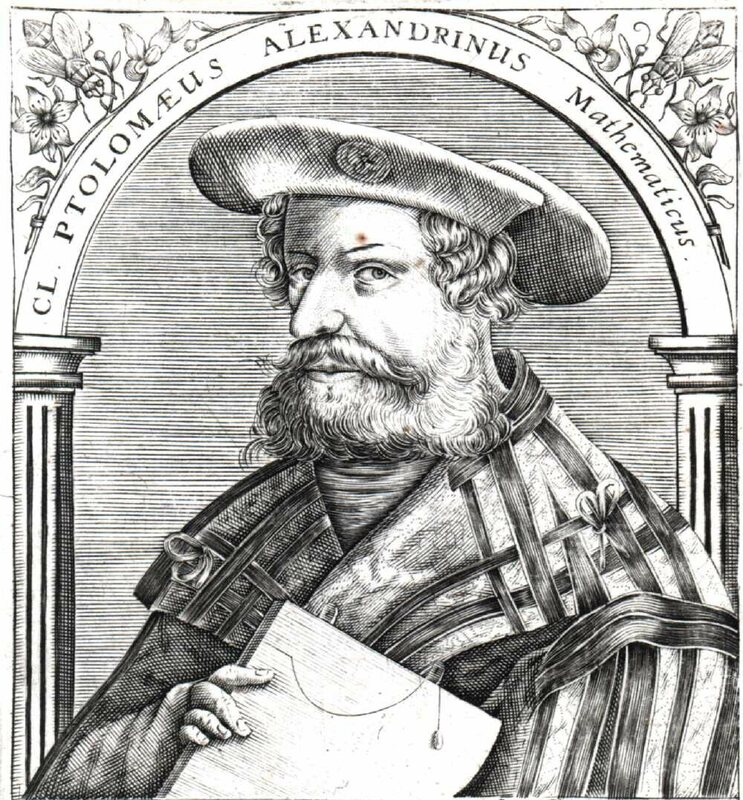 Claudius Ptolemaeus (Greek: Κλαύδιος Πτολεμαῖος; ca. 100 – ca. 178), known in English as Ptolemy, was an ancient Greek geographer, astronomer, and astrologer who probably lived and worked in Alexandria, off the coast of Egypt. Ptolemy was the author of several scientific treatises, two of which have been of continuing importance to later Islamic and European science. One is the astronomical treatise that is now known as the Almagest (in Greek Η μεγάλη Σύνταξις, "The Great Treatise"). The other is the Geography, which is a thorough discussion of the geographic knowledge of the Greco-Roman world. In the Almagest, one of the most influential books of classical antiquity, Ptolemy compiled the astronomical knowledge of the ancient Greek and Babylonian world; he relied mainly on the work of Hipparchus of three centuries earlier. It was preserved, like most of Classical Greek science, in Arabic manuscripts (hence its familiar name) and only made available in Latin translation (by Gerard of Cremona) in the 12th century. Ptolemy formulated a geocentric model that was widely accepted until it was superseded by the heliocentric solar system of Copernicus. Likewise his computational methods (supplemented in the 12th century with the Arabic computational Tables of Toledo) were of sufficient accuracy to satisfy the needs of astronomers, astrologers and navigators, until the time of the great explorations. They were also adopted in the Arab world and in India. The Almagest also contains a star catalogue, which is probably an updated version of a catalogue created by Hipparchus. Its list of forty-eight constellations is ancestral to the modern system of constellations, but unlike the modern system they did not cover the whole sky (only the sky Ptolemy could see). Ptolemy's other main work is his Geography. This too is a compilation of what was known about the world's geography in the Roman Empire during his time. He relied mainly on the work of an earlier geographer, Marinos of Tyre, and on gazetteers of the Roman and ancient Persian empire, but most of his sources beyond the perimeter of the Empire were unreliable. The first part of the Geography is a discussion of the data and of the methods he used. Like with the model of the solar system in the Almagest, Ptolemy put all this information into a grand scheme. He assigned coordinates to all the places and geographic features he knew, in a grid that spanned the globe. Latitude was measured from the equator, as it is today, but Ptolemy preferred to express it as the length of the longest day rather than degrees of arc (the length of the midsummer day increases from 12h to 24h as you go from the equator to the polar circle). He put the meridian of 0 longitude at the most western land he knew, the Canary Islands. Ptolemy also devised and provided instructions on how to create maps both of the whole inhabited world (oikoumenè) and of the Roman provinces. In the second part of the Geography he provided the necessary topographic lists, and captions for the maps. His oikoumenè spanned 180 degrees of longitude from the Canary islands in the Atlantic Ocean to China, and about 80 degrees of latitude from the Arctic to the East Indies and deep into Africa; Ptolemy was well aware that he knew about only a quarter of the globe. The maps in surviving manuscripts of Ptolemy's Geography however, date only from about 1300, after the text was rediscovered by Maximus Planudes. Maps based on scientific principles had been made since the time of Eratosthenes (3rd century BC), but Ptolemy invented improved projections. It is known that a world map based on the Geography was on display in Autun, France in late Roman times. In the 15th century Ptolemy's Geographia began to be printed with engraved maps; an edition printed at Ulm in 1482 was the first one printed north of the Alps. The maps look distorted as compared to modern maps, because Ptolemy's data were inaccurate. One reason is that Ptolemy estimated the size of the Earth as too small: while Eratosthenes found 700 stadia for a degree on the globe, in the Geographia Ptolemy uses 500 stadia. It is not certain if these geographers used the same stadion, but if we assume that they both stuck to the traditional Attic stadion of about 185 meters, then the older estimate is 1/6 too large, and Ptolemy's value is 1/6 too small. Because Ptolemy derived most of his topographic coordinates by converting measured distances to angles, his maps get distorted. So his values for the latitude were in error by up to 2 degrees. For longitude this was even worse, because there was no reliable method to determine geographic longitude; Ptolemy was well aware of this. It remained a problem in geography until the invention of chronometers at the end of the 18th century. It must be added that his original topographic list cannot be reconstructed: the long tables with numbers were transmitted to posterity through copies containing many scribal errors, and people have always been adding or improving the topographic data: this is a testimony to the persistent popularity of this influential work. In his Optics, a work which survives only in a poor Arabic translation, he writes about properties of light, including reflection, refraction and colour. His other works include Planetary Hypothesis, Planisphaerium and Analemma. Ptolemy's treatise on astrology, the Tetrabiblos, was the most popular astrological work of antiquity and also enjoyed great influence in the Islamic world and the medieval Latin West. The Tetrabiblos is an extensive and continually reprinted treatise on the ancient priciples of astrology in four books (Greek tetra means "four", biblos is "book"). That it did not quite attain the unrivalled status of the Syntaxis was perhaps because it did not cover some popular areas of the subject, particularly horary astrology (interpreting astrological charts for a particular moment to determine the outcome of a course of action to be initiated at that time), electional astrology, and medical astrology. Much of the content of the Tetrabiblos may well have been collected from earlier sources; Ptolemy's achievement was to order his material in a systematic way, showing how the subject could, in his view, be rationalized. It is, indeed, presented as the second part of the study of astronomy of which the Syntaxis was the first, concerned with the influences of the celestial bodies in the sublunar sphere. Thus explanations of a sort are provided for the astrological effects of the planets, based upon their combined effects of heating, cooling, moistening, and drying. Ptolemy's astrological outlook was quite practical: he thought that astrology was like medicine, that is conjectural, because of the many variable factors to be taken into account: the race, country, and upbringing of an person affects an individual's personality as much if not more than the positions of the Sun, Moon, and planets at the precise moment of their birth, so Ptolemy saw astrology as something to be used in life but in no way relied on entirely. Ptolemy also wrote an influential work, Harmonics on music theory. After criticizing the approaches of his predecessors, Ptolemy argued for basing musical intervals on mathematical ratios (in contrast to the followers of Aristoxenus) backed up by empirical observation (in contrast to the overly-theoretical approach of the Pythagoreans). He presented his own divisions of the tetrachord and the octave, which he derived with the help of a monochord. Ptolemy's astronomical interests also appeared in a discussion of the music of the spheres.